AP, or Advanced Placement, classes are college-level classes offered to high school students in a wide variety of subjects. If a student scores high enough on the AP exam, then they can earn college credit for that subject. The curriculum of these classes offers students challenging course work and an example of the increased demands of college classes. In 2012-13, AHS administered 561 AP exams to 199 students, 34 percent of AHS’s enrollment. All core subject-area teachers at AHS are Pre-AP or AP certified and, during the 2013-14 school year, AHS offered 11 AP classes in subjects such as Calculus, Chemistry, Physics, Government, Biology and Literature. AHS also offers AP tests in two additional classes where teachers mentor students who excel in specific, advanced subjects. “The most important aspect of the AP curriculum is to challenge these students early so that they are better prepared for college,” David Maxwell, AHS Principal, said. College retention rates of AHS graduates reinforce the claim that exposing a greater number of high school students to more rigorous curriculum does increase their chances of success after graduating high school. “Our students wouldn’t be able to achieve at this high of a level without the tireless effort of the AHS faculty and the support of our community. It is truly a blessing to be part of a community so dedicated to academics and education,” Maxwell said. 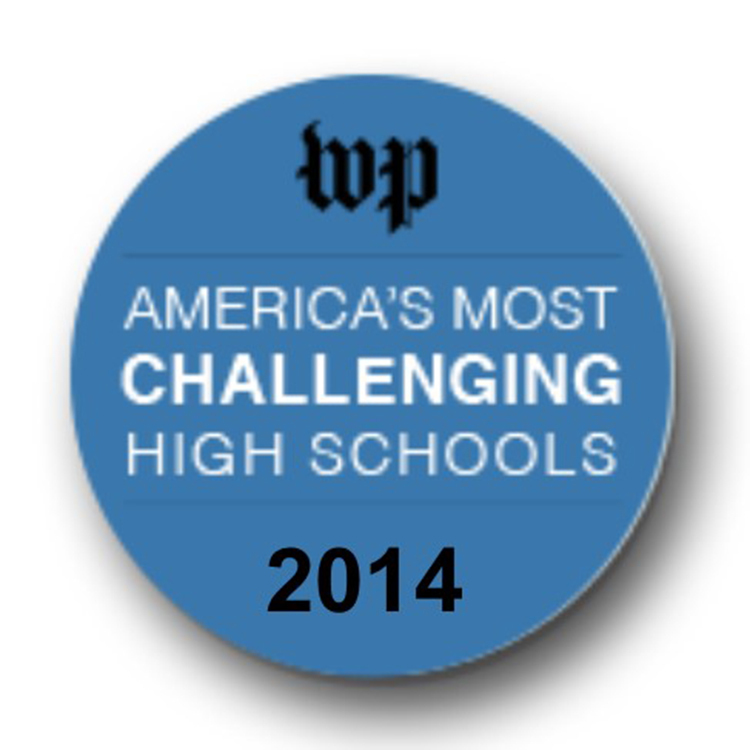 To calculate the Challenge Index for the Washington Post’s rankings, Mathews divides the number of Advanced Placement, International Baccalaureate or other college-level tests a school administered by the number of graduating seniors. The article states that, while not a measure of the overall quality of the school, the rating can reveal the level of a high school’s commitment to preparing average students for college. “I designed the list to identify the schools working hardest to challenge average students with Advanced Placement tests, good preparation for both college and the workplace. This is in contrast to the usual ranking of schools by test score averages, which is more of an indication of how affluent the parents are than of how good the school is,” Mathews said. Find the full report from the Washington Post here.